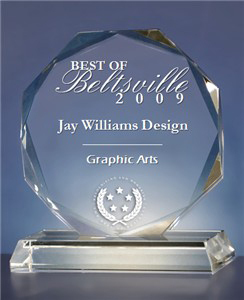 Jay Williams started his career in Baltimore, Maryland as a graphic artist, creating package designs for five years. Then he was acquired by the Barton-Gillet Company where he gained marketing and graphic design skills working with very talented coworkers. After five years Jay left as an art director and moved to Washington DC to become vice president and creative art director for Wickham Associates, Inc. There he was totally involved with marketing and developing creative books, brochures, advertisements for large associations and organizations such as the Smithsonian Institution, Howard University, AARP, National Association of Home Builders, etc. On valentines Day in 1979, Jay started the Jay Williams Design Company. See info below. In 1992 Jay Williams Design Company was early to offer website development. 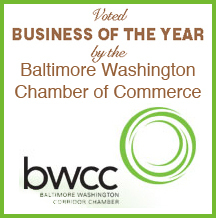 Currently Jay also offers professional photography (Balt~Walsh PHOTOGS) and Customized Bronze Sculptures. He enjoys working with his network of printers, copywriters, photographers, illustrators and sculptors to provide all the services of JWDC to businesses and organizations throughout the Baltimore/Washington area and beyond. This website has enabled Jay to acquire projects from all over the country. The Jay Williams Design Company is a full service design studio. Since 1979 we have designed and produced award winning solutions to visual communication projects for clients like; The United Nations, The Smithsonian Institution, The National Mining Association, UNISYS Corporation, AARP, University of Maryland, American University and Howard University. In addition to our web site design and hosting services, we also have produced logos, brochures, annual reports, newsletters, awards, illustrations, advertisements and exhibits for hundreds of business and associations both foreign and domestic. With our diverse background we can enhance, develop or redevelop your marketing pieces with a very coordinated plan of attack. Call any of our current or former clients for a referral. You'll see why we are a leader in our field. Member of Mid Atlantic Networking 2005 to present.